At the end of August 2013 a new union, called Unifor, will be launched in Canada with a membership of over 300,000 workers. At a convention in Toronto, the Canadian Autoworkers (CAW) and the Communications, Energy and Paperworkers (CEP), will officially merge, creating the largest private sector union in the country. 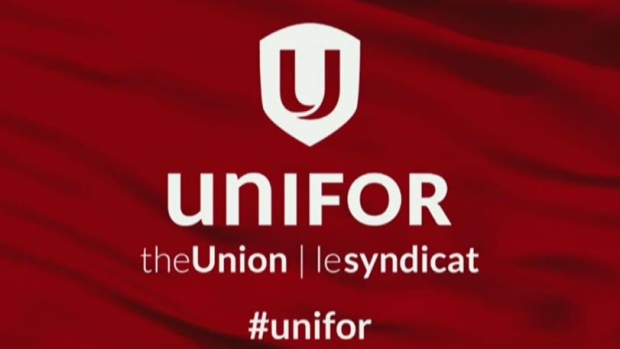 Ostensibly, Unifor will be more powerful and influential than either of its founding parts. It will have more members and more resources at its disposal. But that means only that it has potentially greater power and influence. The merger in no way guarantees that these qualities will be fully realized. Size is certainly not synonymous with effectiveness. In fact, increasingly there are compelling reasons to view this merger with considerable apprehension. In fact, the more one sees of this merger and the process giving rise to it, the more there is cause for concern. Nowhere is this more evident than in the merger process. A short time ago CAW National President Ken Lewenza, when interviewed by the Windsor Star, had the audacity to claim the merger process could not be more open and transparent. If he actually believes that, he has a unique concept of openness and transparency. CAW rank and file members have next to no idea what is going on. Even local CAW leaders have largely been left in the dark until very recently. Many readily acknowledge this. The merger process has in fact been driven from the very top of the two unions downwards and effectively shaped behind closed doors. Few even know who are the people on the committees which have been assembling the terms of merger of the two unions. Certainly the rank and file have not in any way shaped the process, nor have local union leaders. The bureaucracies of the two unions have exclusively shaped the process. Only now are they engaging, in a very limited and controlled way, local union leaders and members via a series of information meetings and a conference call. The membership has essentially been told they can’t just show up at a meeting of their own union to discuss the new union they are about to become members of, and pay union dues to, and be profoundly affected by. Consider the following. Initially, fourteen information meetings about the merger were scheduled to take place across Canada. Half were in Ontario. Only one meeting each was held in the provinces of B.C., Alberta, Saskatchewan, Manitoba, Quebec, Nova Scotia and New Brunswick. None was held in Prince Edward Island and Newfoundland and Labrador. This was hardly conducive to accessibility and transparency. But the most damning thing is that neither individual members nor local unions can send resolutions to the founding convention of the new union. What this effectively means is that the bureaucracy of these two unions is going to present a complete merger package to the delegates to the founding convention. Basically, the delegates will be told to take it, in its entirety, or leave it. Thus, the delegates chosen by the membership will have a choice between rubber stamping the entire merger package, or voting against it and effectively scuttling the merger. This is not the worst of it. When the critical vote is held, if brutal past experience is indicative, there will be an element of intimidation at work. The person chairing the convention will likely make it a standing vote. Delegates vote by standing up to vote, rather than by raising a hand — never mind having a secret ballot. Thus, delegates who want to vote against the merger package will find themselves having to stand up with the eyes of everyone in the room glaring at them. These things must be stressed because the process reveals that there will be a real absence of democracy in the new union which structurally, and in practice, will perpetuate the absence of meaningful democracy — which has been absent in the CAW at the national level since its inception, exemplified by the fact that, at the CAW’s national council meetings, not one recommendation of the national president has been voted down since 1992. Consistent with all of this, another thing is noteworthy. 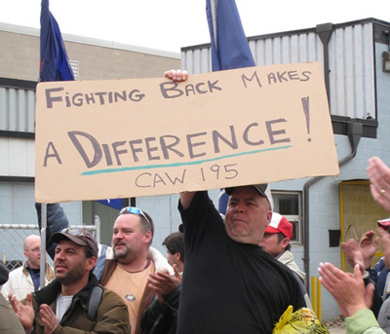 Back in 1985, when the then Canadian Region of the UAW broke from the UAW to form the CAW, large general membership meetings were held where the union’s rank and file could go to microphones and express their views without facing a wall of intimidation. They actually debated the issue of forming a new union, and then voted on it. The vote was by a show of hands, not forcing people to stand up to vote. Nothing comparable is happening this time around. What this reveals is a considerable regression in terms of there being democracy within the union. What this shows is that rather than moving towards a stronger, more influential and democratic organization, what is emerging is one big unaccountable, self-perpetuating, privileged bureaucracy over which the rank and file will have very little control. Despite this generally bleak picture, there is some reason for hope. That hope lies in the fact that this union is being arbitrarily cobbled together by the bureaucracies of the two unions with huge unresolved issues. Foremost among these is the question of political action, which centres on the future relationship to the NDP. They have no answer for this question and it is certain to spark intense debate. I am hoping this debate will lead to what veteran CAW and socialist militant Joe Flexer used to call “an outbreak of democracy.” The task then will be to pour gasoline on the fire and break things wide open. That opening should include challenging the longstanding embrace of contract concessions by both organizations, and the tepid, selective support given to social movements resisting the austerity agenda. Only if these things are done will the merger constitute a historic step forward for the labour movement. It is imperative that they are done.